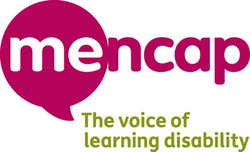 Amiga PD is a charityware site - if you download any disk images you are encouraged to donate to our chosen charity - Mencap - at our justgiving page. Suggested donations are £1 per disk image download as this was the cost of obtaining a disk back in the 1990s. Thank you. The Zip File below contains all the games listed on the left. Whilst every care is taken with uploading the disk images AmigaPd will not be held responsible for any damage caused to users hardware as a result of using these disk images. Users download and use the disk images at their own risk.